Metaform coffee table model KW-1 designed by Hank Kwint in the 1980’s. Special about this table is the design of the frame. 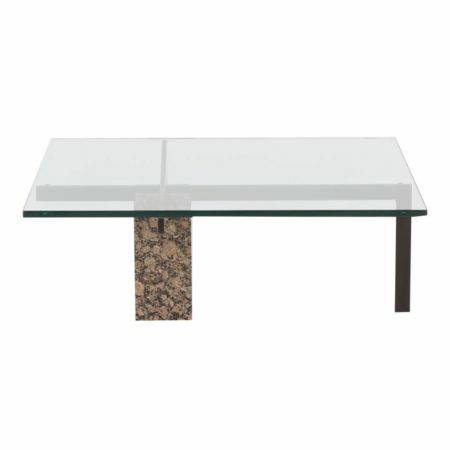 The glass top is made of clear glass, the frame of metal (black) and the leg of granite. Considering its age in good condition, 2 small chips of the glass missing and some some scratches in the glass (see pictures). Dimensions: h x w x d = 36 x 90 x 90 cm. The glass is 19 mm thick.